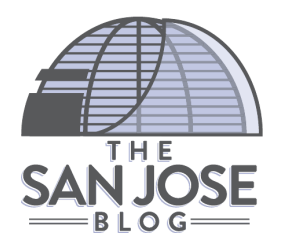 The San Jose Blog: 2,000th Post on The San Jose Blog! 2,000th Post on The San Jose Blog! It has been quite a journey so far. Honestly, I was not sure if we would ever hit this milestone and I am pretty sure that no other independent San Jose-oriented blog has reached 2,000 posts. We're still going strong and also just broke 1.2 million page views. I have been travelling for the past week to visit family and had an opportunity to visit two great American cities: Denver, CO and Louisville, KY. I spent a great deal of time in the downtown areas of both cities and have to say that I had a lot of fun in both locations. The people in Louisville were incredible (friendliest city I have ever been to) and Denver's lively and walkable 16th street filled with shops and restaurants seemed to go on for miles. The one thing I did not get a sense of in either city (or their downtown cores) was that there would be substantial changes in the future. They are already great cities with a lot to be proud of, but five years from now Denver will still be Denver and Louisville will still be Louisville. On the other hand, I think in five years San Jose will be a very different city than it is today... and while change is scary for most I think San Joseans have the ability to weather and welcome change better than anyone else in the country. That is what excites me the most about living here and working on this blog. We have a lot to look forward to and expect to see some big announcements in the coming months! Actually, the 16th St. is one mile long with significant activity around 5 or 6 blocks. Downtown Denver will change tremendously in 5 years in the LoDo section/ Union Station area. When they announce plans to build highrise in Denver, they start in six months after the announcement. Seven new highrises range from 18 story to 40 story will get underway in Downtown Denver within a year. Though no new public market like San Pedro or SoFa market will get built in this downtown. Denver may add to their skyline, but I don't think Denver's culture or brand image will change significantly over that time. I also don't think there is anything wrong with that, they already have a great city and I'm sure it will incrementally get even better over time. It sounds like Denver is a better city with a better downtown? It's a lot cheaper, too. Their Downtown is definitely larger and more lively in parts, I don't think I would call it better. Many sections feel very spread out, the transit overall is big step behind, and the airport is 30min+ away. The really awesome restaurants we went to were not in the Downtown core but just outside of it. Of course, you also have to factor in the weather which is horrible during the winter and makes the Downtown area very difficult to enjoy.